Life’s not all a bed of roses for Ashley Smeeton, in her mid-twenties and trying to run a private investigation agency in Montreal despite a temporary cash flow emergency. She’s as surprised as anyone though when she agrees to take a lucrative summer au pair job in the scenic Laurentian Mountains. 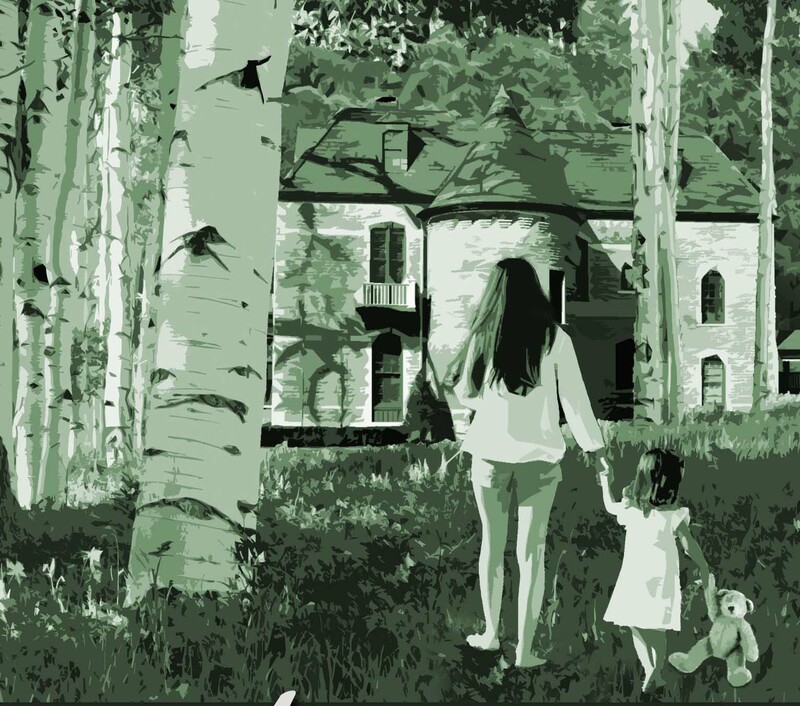 Montreal might be enduring a heat wave, but at Columbine Lodge, occupied by a few generations of immensely wealthy Sampsons, things are heating up as well. Between the mystery that surrounds four-year-old Meade and her beautiful, complicated mother Layla, and the lingering mood of past suffering in the old lodge, Ashley quickly realizes she’s in for an interesting ride. And then there’s the proliferation of summer romance-quality men. By the time the unexplained deaths commence, Meade has thoroughly succeeded in getting under Ashley’s skin. But the odd little girl with the big gift is by no means the only one in danger. Rudderless after a series of setbacks, a wealthy young Montrealer named Sally Ryder discovers her dead mother had a secret life and she has an unsuspected half-sister. 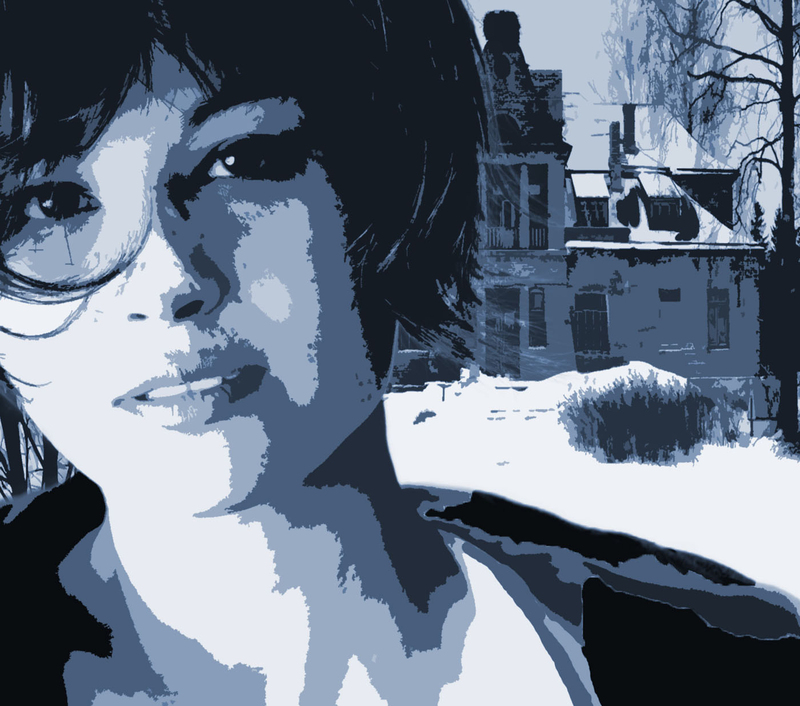 Helena Lane has written to Sally, inviting her to Midwinter, an isolated estate in the Eastern Townships. But before they can meet, Helena and her husband die under disturbing circumstances. Sally feels compelled to visit Waverley anyway for a few days, to learn what she can about the sister she never knew. Her first shock is to find that Howard Lane has left everything, including Midwinter, to his beautiful secretary Janine. During a storm, Sally is unexpectedly snowed in over the holidays with Janine and an assortment of Midwinter guests and locals, including a nine-year-old budding sleuth named Ashley. It isn't long before Sally becomes entangled with a gruff young doctor from Boston in an effort to uncover the truth about her sister's mysterious life, and death. Anna was born in Montreal and recently moved back there, which surprised no one but her. She’s been a reporter, a college lecturer and a horticultural advisor, as well as other things best forgotten. Her well-received domestic mysteries, After the Winter and The Au Pair, feature evocative settings and uninhibited female revenge, with a seasoning of moral ambiguity and noir. She reads obscure fiction in English and French and thinks Quebec is an underrecognized mise en scène for mystery and domestic suspense. Sign up to receive site updates and book news! Book Club? If your book club is interested in inviting me to speak, either in person or electronically, please contact me with the details of your request. In my late forties, I realized that I no longer enjoyed reading novels with twenty-something and thirty-something protagonists. It felt like poking into the heads and hearts of young women who could easily be former students. While searching for novels featuring an older crowd, I discovered several late-blooming authors (Maeve Binchy, Frank McCourt, Louise Penny) who had launched successful second acts. Inspired, I decided to populate my essays, stories, and novels with Boomer women and their older sisters. At first, I wrote primarily for the non-fiction market but later gravitated toward cozy mysteries and paranormal romances. The protagonists in both series were fifty-something women facing transitions into unexpected second acts. Gilda Greco, the protagonist of A Season for Killing Blondes, won $19 million in Lotto 649. She returns to her hometown, only to find herself embroiled in the murders of four blondes. Isabella of the Mediterranean Kingdom aka Barbara Davis, the protagonist of Between Land and Sea, faces an uncertain future after she is aged thirty years and given twenty extra pounds to carry. Middle-aged ex-mermaids have very few role models! I spent two years editing and polishing both manuscripts. Excited about the publication process, I anxiously awaited input from a visiting male author. Our conversation is etched in memory. “What do you mean by young’uns?” I couldn’t resist using my teacher voice. I smiled and thanked him for his advice, determined not to follow it. I encountered more ageism at some of the writing workshops and seminars I attended between 2011 and 2012. Several instructors urged me to downplay the “boomer” elements in my query letters and books. Thankfully, the writers and producers of The Best Exotic Marigold Hotel, Quartet, The Intouchables, Still Alice, and Downton Abbey didn’t even consider such misguided advice. I can’t even imagine finding younger characters to replace Maggie Smith, Julianne Moore, Judy Dench, Bill Nighy, or François Cluzet in any of their outstanding roles. Encouraged by this Renaissance of boomer movies, I continued to submit query letters to agents and publishers across Canada and the United States. I was thrilled when both novels found homes at The Wild Rose Press and Soul Mate Publishing. Seven years have passed since meeting with the visiting author. Much has changed in the literary and film landscapes. Increasing numbers of bestsellers, among them Every Note Played by Lisa Genova, A Man Called Ove by Fredrik Backman, and The Unlikely Pilgrimage of Harold Fry by Rachel Joyce, feature boomer and older protagonists. These books address the transition issues inherent in the lives of boomers, among them widowhood, divorce, aging parents, degenerative diseases, and retirement. At this year’s Oscars, the recipients of the Best Actor and Best Actress awards—Gary Oldman and France McDormand—were both aged sixty. And Dame Helen Mirren rode around on a jet ski during the ceremonies! Yes, that time has come. The Au Pair is released today, and to celebrate there’s a giveaway. If you sign up to receive email notifications from this website (my occasional blogs, basically) you’ll be in the running for a prize of two nice trade paperbacks of both my books, After the Winter and its sequel The Au Pair. The deadline is October 31st at midnight, so don’t delay. This is a pretty new website, so anyone who already signed up is eligible as well. How do you follow me? It’s easy, click Follow and/or see my Contact page.